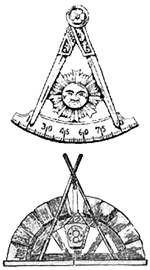 Monday, March 14th we’ll be doing TWO degrees at the Belleville Masonic Temple, both the Past Master, and Most Excellent Master degrees. As you may suspect we could use your support, so I’d like to invite all companions down to the Belleville Masonic Temple, which is at 515 Main Street, Belleville, MI 48111 on Monday, March 14th at 7:00pm for the Past Master and Most Excellent Master Degrees. A small meal will be served after the degrees and if you’re lucky we might even put you to work during them. So please come support our newest members, Adam Smith, Jim Piper, Kenneth Landstrom at their Past Master & Most Excellent Master Degrees!